Actress, producer and director Jennifer Blanc-Biehn will be in attendance this year at the 66th Cannes International Film Festival May 15 to 21 to support several upcoming projects this year as an actress, producer and first-time director. Blanc/Biehn will be promoting her eerie directorial debut ‘The Night Visitor’, ‘Wrong Cops’ (which just premiered at Sundance), horror/comedy ‘Among Friends’ and ‘Treachery’ with her husband, the film’s star Michael Biehn. She and Biehn, under their Blanc/Biehn Productions imprint which will be for sale in the Cannes film market by Fairway Films, and currently have seven films in production coming out this year or next. One of those films officially launching at the Festival is ‘Hidden in the Woods’, a dark controversial remake of the Spanish-language thriller. Blanc-Biehn and Biehn begin shooting the intense film, based on a true story, in July. The film’s producer Loris Curci and international distributor Dimitri Stephanides of WTF will also be in attendance at the launch, May 2013 with Jennifer Blanc – Biehn. The actress will also be on hand prior to the screening of short film ‘Sticks and Stones’, a moving narrative about bullying in schools and the lasting effects on children, May 20th at the American Pavilion. Blanc-Biehn, who stars in the film, will be available before the screening along with writer Taylor Grant and director Kate Rees Davies and at the Short Film Corner – where guests can sit in cubicles and watch on-demand – to answer questions and support the film. “We have some celebrating to do too, so Cannes won’t be all work and no play,” says Blanc-Biehn, referring to Blanc/Biehn Productions’ recently completed three-picture deal with film executive/investor Lony Ruhmann, who will serve as Executive Producer and co-writer on the upcoming films ‘The Girl’, ‘Night Maire’ and ‘Get Back Joe’, now in development. “Lony was so moved by our films and collaborating with us on his story ‘The Night Visitor’ that he pitched three stories right away and is funding this deal into next year. We couldn’t be more pleased. 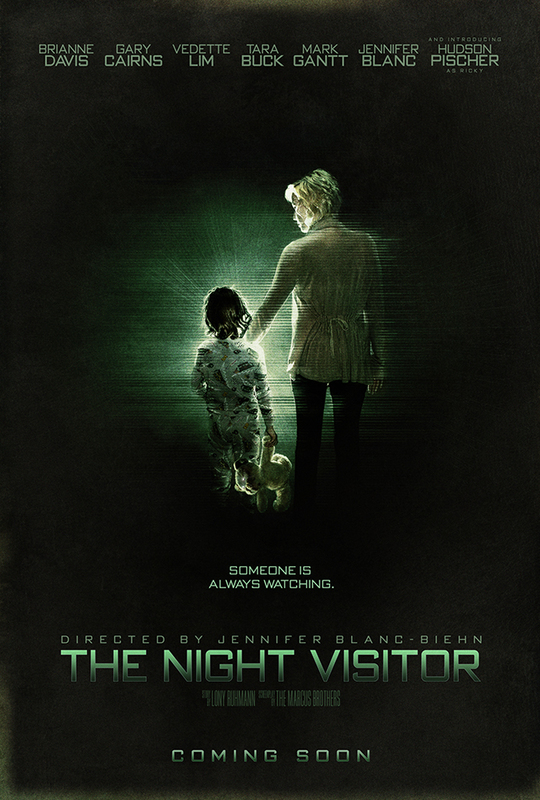 Michael loved what we were doing with ‘The Night Visitor so much that he added it to the Blanc/Biehn roster, which sparked Lony to offer the 4 picture deal.” and future collaborations.